No one plays the Mississippi Saxophone, with more heart than Native Californian Gip Lentine. His stylish 'punchy' mid-range, passion for good tone, and tasty licks, accompanied by the occasional bright obbligato, floats above the band at all the right times, and in all the right places. Gip has played with the Leff Rogers Blues band, and subs occasionally. His 'less is more' approach is welcomed at any of the many Blues Jams all around Southern California. 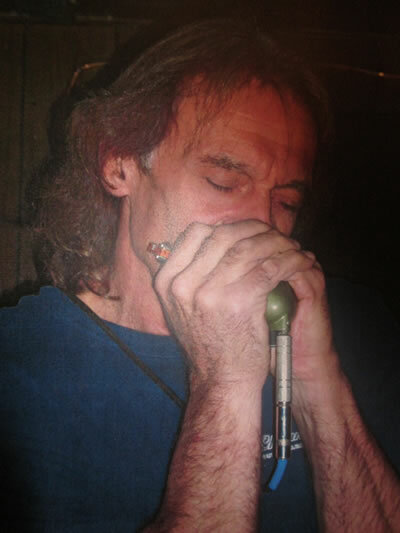 Although hooked on blues for decades, Gip has been playing only since 2006. "Sometimes I think the instrument of choice chooses you," says the blues harpist. A career highlight was playing the festival at Doheny. When not playing the harp all over town, you might check for Gip Lentine where the surf is good. You will recognize him by his dazzling smile.